'Brings the spirit of Zen Buddhism to everyday life . 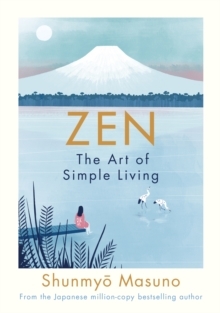 . . 100 snack-size Zen activities you can do daily to add more calm to your life' Daily Telegraph A beautifully illustrated guide to slowing down, finding true happiness and feeling calm, by Zen Buddhist monk Shunmyo Masuno. _________Zen is the perfect antidote to the chaos of modern life . . . In clear, practical and easy to follow lessons - one a day for 100 days - renowned Buddhist monk Shunmyo Masuno draws on centuries of wisdom to show you how to apply the essence of Zen to modern life.